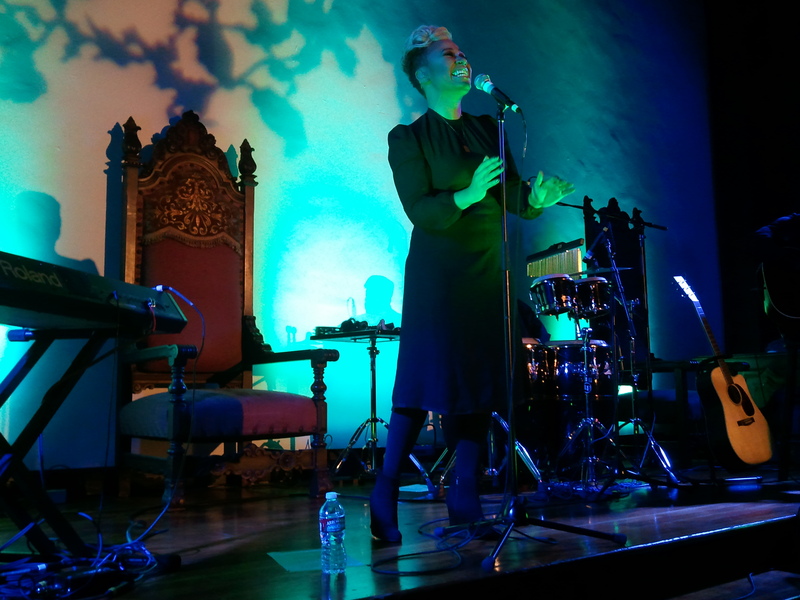 Emeli Sandé makes a queens debut in Los Angeles. DEPARTED THE SHOW FEELING: Lucky. The problem with the internet is always the spoiler alert factor. 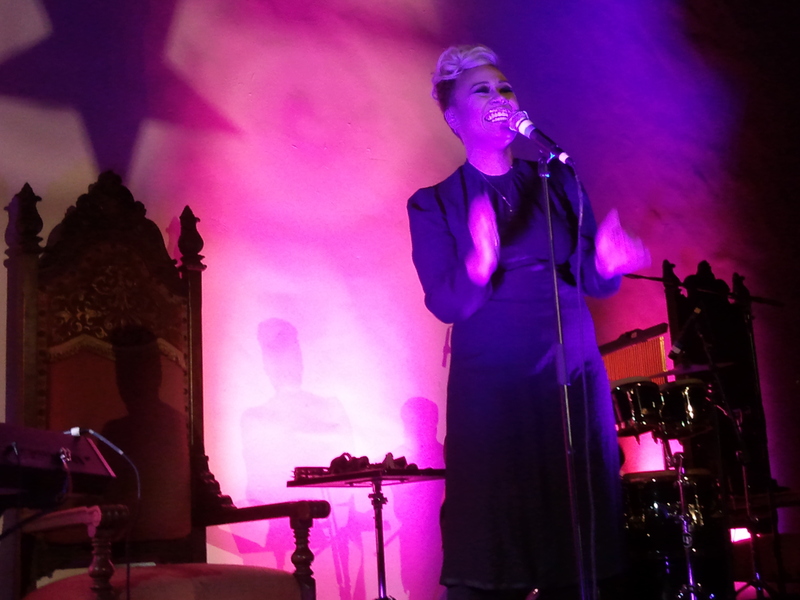 I could not help myself and investigated the blog coverage of Emeli Sandé’s NYC debut. It was nothing but stellar reviews and raves. So the bar was HIGH… and I’ll get right into. THIS LADY IS A QUEEN. 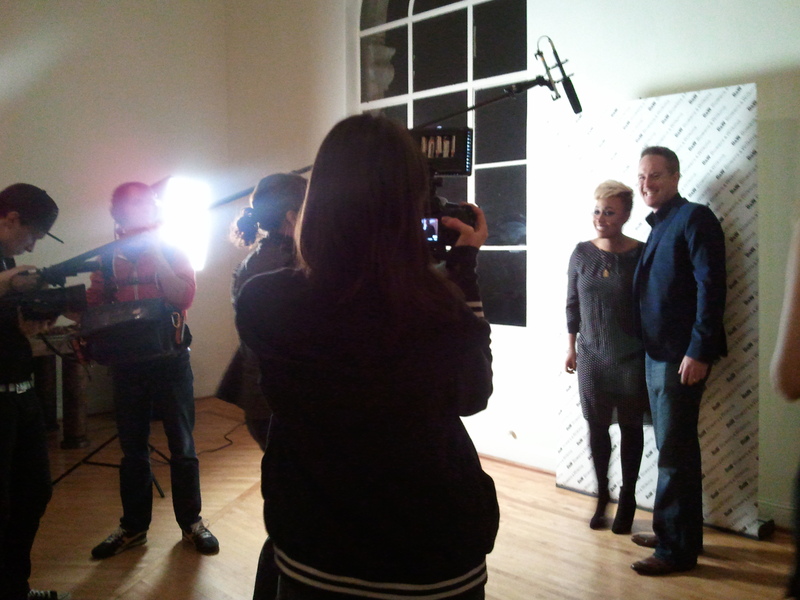 Emeli Sandé adds a solid, tangible, depth filled voice to the game. This lady has chops and then some. The first song of the evening was “Heaven,” and a collective gasp swept through the audience. Sort of like, “holy crap, are you for REAL? !” My words can not do the performance justice. Simply unbelievable and breathtaking. The set continued with a gorgeous rendition of Coldplay’s “Every teardrop is a waterfall” but fell only slightly flat with the emotionally charged track “Clown.” Perhaps nerves took this song down just a notch from where it should have been. In the end Emeli Sandé’s set lasted seven songs and she left the stage with a standing ovation from the industry folk, which included legendary American songwriter Diane Warren. As a bonus I was given a copy of Emeli’s debut, which is not released domestically until June 5, 2012 (it has already reached #1 in the UK). The debut titled ‘Our Version of Events’ blends influences from Alicia Keys to the lovely Australian vocalist Sia. There are some stand out tracks which include, “Heaven”, “Mountains”, “Next to Me,” and “Daddy.” My only complaint… there are A LOT of ballads. I would have loved an additional track or two in the style of “Heaven” or “Next to Me,” something a little more playful I suppose. Mark these words, this lady is going places. In a year from now she will be one of the most buzzed about and respected artists in the US. Tegan and Sara + Morgan Page Collab. Just what we needed.